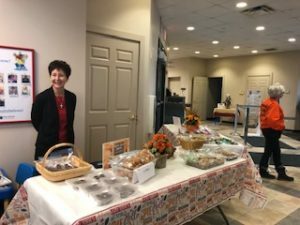 See Our Recent 50th Anniversary Year-Long Celebration! 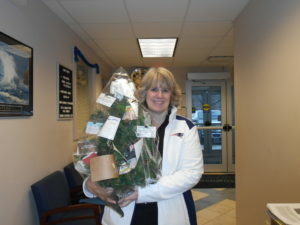 Over $1,700 was raised for the Maine Credit Union’s Campaign for Ending Hunger during our Christmas Tree Gift Card Raffle. 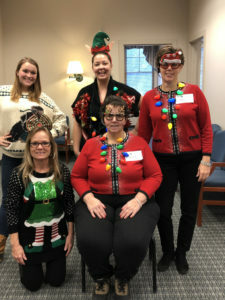 Winners were: Brenda Doore of Dexter, Linda Ames of Guilford, Rhonda Tyler of Dover-Foxcroft, Michaella Gilbert of Greenville, and Angela Cook of Brownville. 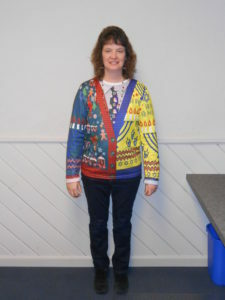 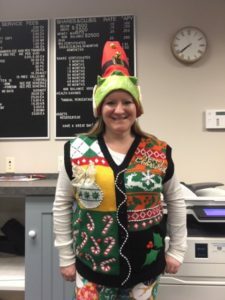 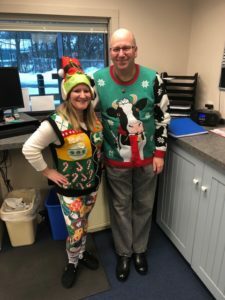 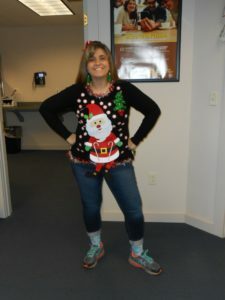 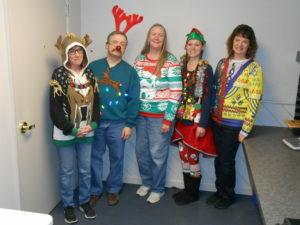 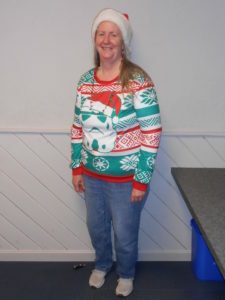 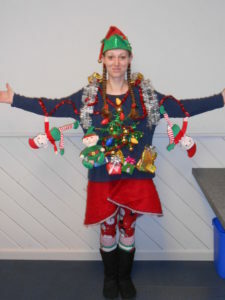 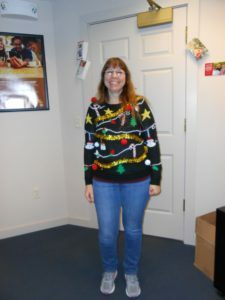 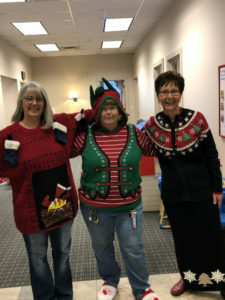 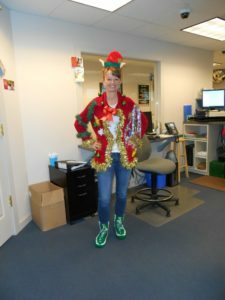 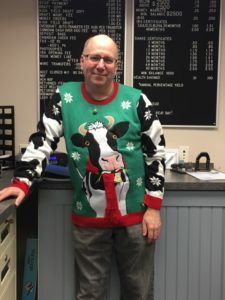 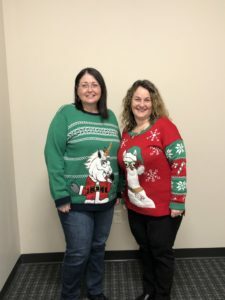 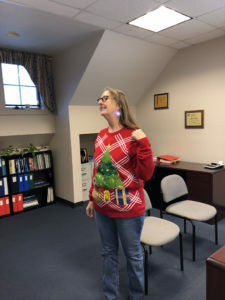 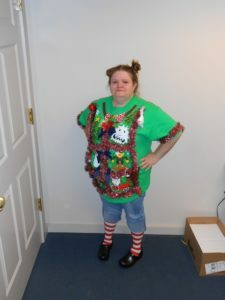 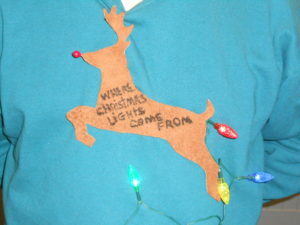 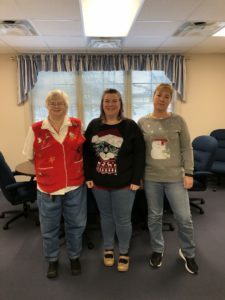 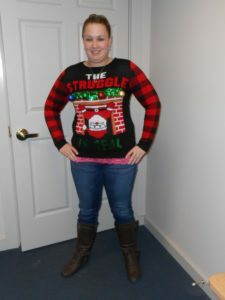 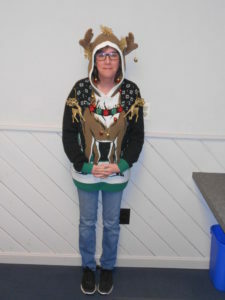 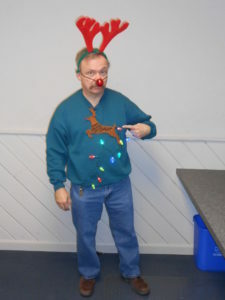 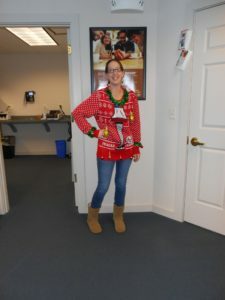 Employees from all branches participated in the National Ugly Christmas Sweater Contest on December 21st. 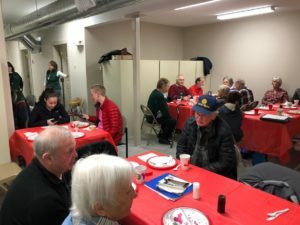 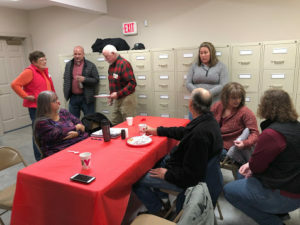 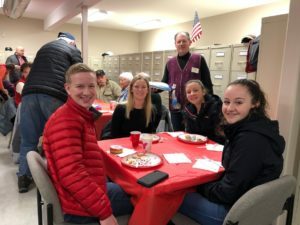 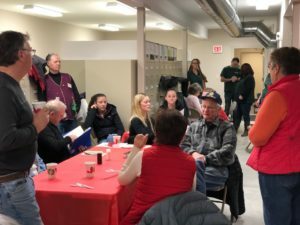 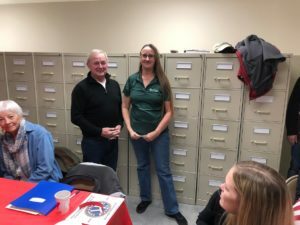 Maine Highlands FCU in Dexter hosted a breakfast in December for the Dexter Sunrise Kiwanis Club. 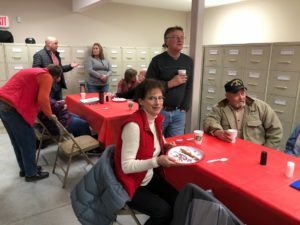 The group enjoyed a delicious breakfast prepared by MHFCU employees, then were treated to a tour of the building and new addition. 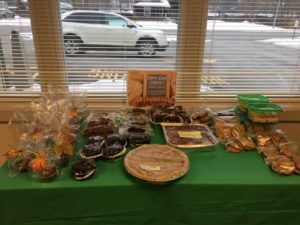 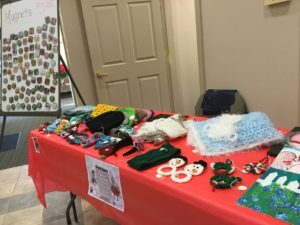 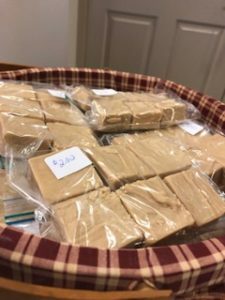 The Dexter office held it’s first Craft Sale in December for Ending Hunger. 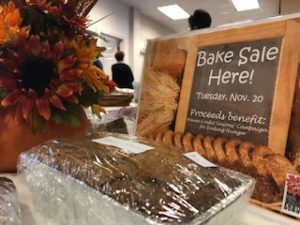 After a day of sales, $237.50 was raised for Maine Credit Union’s Campaign for Ending Hunger. 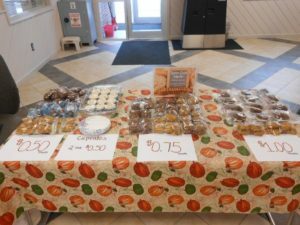 Employees at our Dexter, Guilford, and Brownville offices held a bake sale for Ending Hunger just before Thanksgiving. 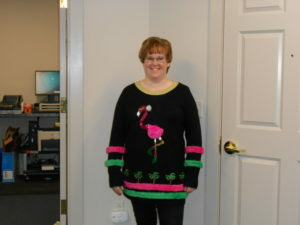 After a few days of the sale, $425.00 was raised for this worthy cause. 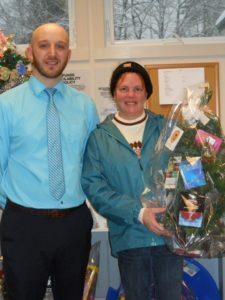 Over $1,000 was raised for Maine Credit Union’s Campaign for Ending Hunger during our Black Friday 50/50 Raffle. 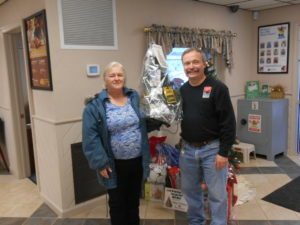 The first place winner, Mike Carroll won half the total amount from ticket sales. 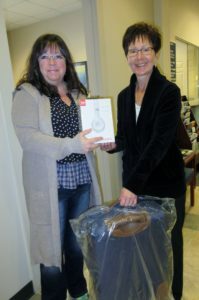 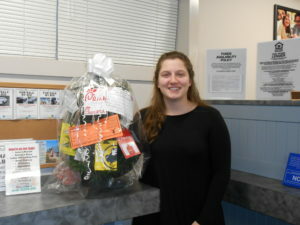 Donna Bilodeau won second prize which was a set of Beats Wireless Headphones and a piece of luggage. 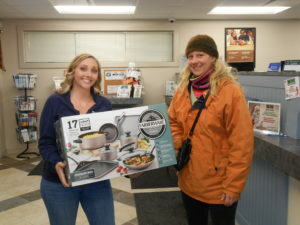 And Julie Graham was our third prize winner with a set of cookware. 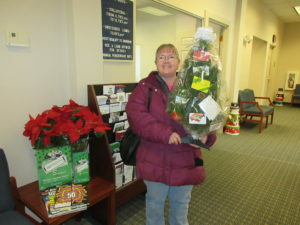 Congratulations to all winners – and thank you to all who purchased tickets for this worthy cause! 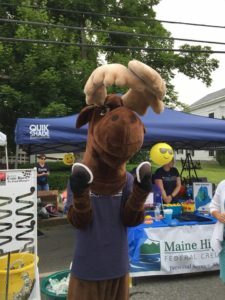 Once again, Maine Highlands FCU was the major sponsor of Dexter’s Maine Red Hot Dog Festival. 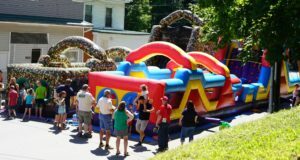 Two giant inflatable obstacle courses and a bounce house were brought in and manned by MHFCU employees. 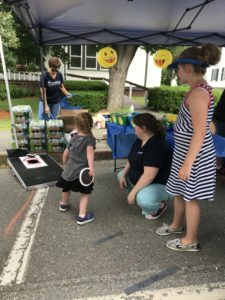 Over 3,000 people attended this event. 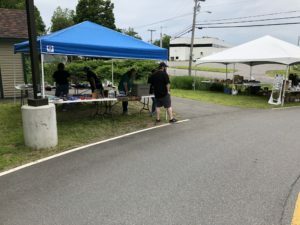 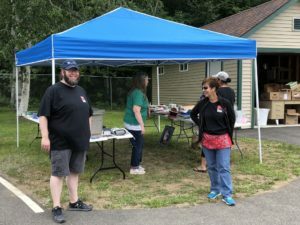 Maine Highlands FCU in Guilford held a yard sale in July. 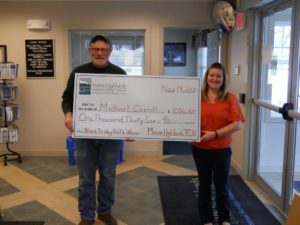 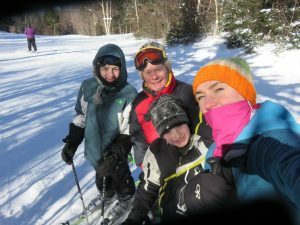 Proceeds benefitted Maine Credit Union’s Campaign for Ending Hunger. 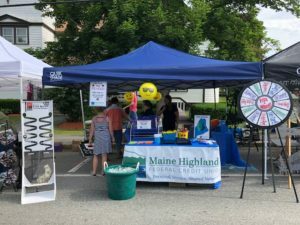 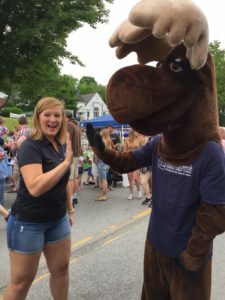 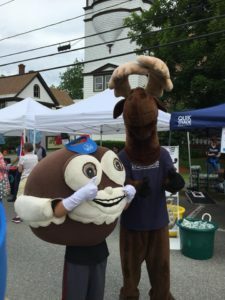 Maine Highlands FCU was on hand at Dover-Foxcroft’s Whoopie Pie Festival in June, providing games, prizes, and giveaways. 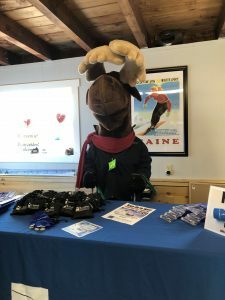 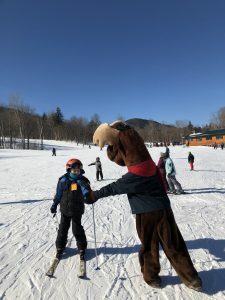 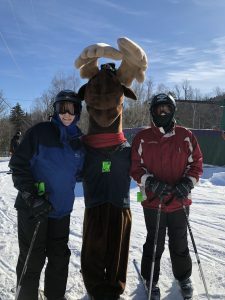 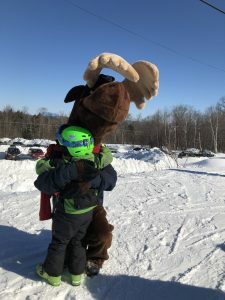 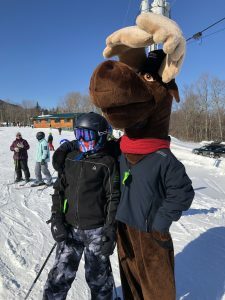 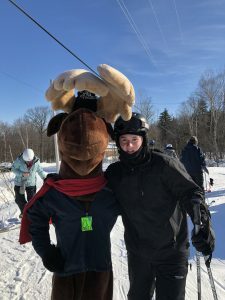 Monty Moose was available to greet festival-goers.